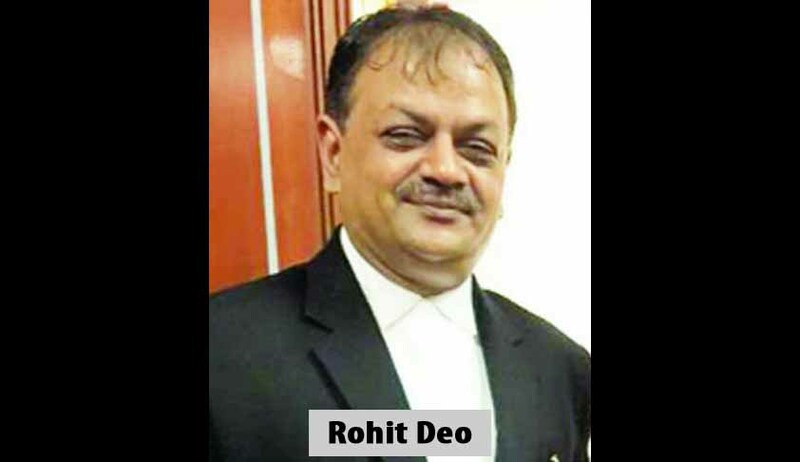 Nine months after Shreehari Aney resigned from the post of Advocate General of Maharashtra, the Maharashta Cabinet, has on Tuesday decided to appoint Acting Advocate General Rohit Deo to the top post. Deo had been functioning as an Acting AG after Aney’s resignation in March this year. Although an official notification is not out yet, this decision was taken by the state cabinet, sources in the Law and Judiciary Department at Mantralaya confirmed the news. A writ petition filed by Member of Legislative Council Sanjay Dutt in the Bombay High Court, had sought a writ of mandamus directing the Maharashtra government to appoint an Advocate General under Article 165 of the constitution. On December 13, state government filed an affidavit before the court stating that an advocate general will be appointed by the end of December, Acting AG Rohit Deo also made a statement to this effect on December 23. He informed the bench of Justices AS Oka and Anuja Prabhudessai that an appointment to the post will be made in the next cabinet meeting before December 30. This would be state government’s third full time appointment to the post. The state government has struggled to make a steady appointment to the post of AG as it’s first appointment in Sunil Manohar lasted for a little over six months. Shreehari Aney was appointed to the post after a period of four months in October 2015 and he resigned in March this year in light of the controversy over his remarks on separate statehood for Marathwada.